So, you and you friend have gotten into a fight. What now? A few years ago, I hurt a friend. It wasn't on purpose. There was a conflict between my friend and another person. I thought that I was being helpful - a bridge-builder per se. I stuck my nosy nose into the situation and gave my worthless two cents. The next day, my girlfriend called in tears to let me know that my well-meaning words put her in an awful position. I felt awful. I'd hurt my friend. Have you ever been hurt by a friend? Have you ever been the one to hurt a friend's feelings? No matter which side you find yourself on, it's painful all the way around! 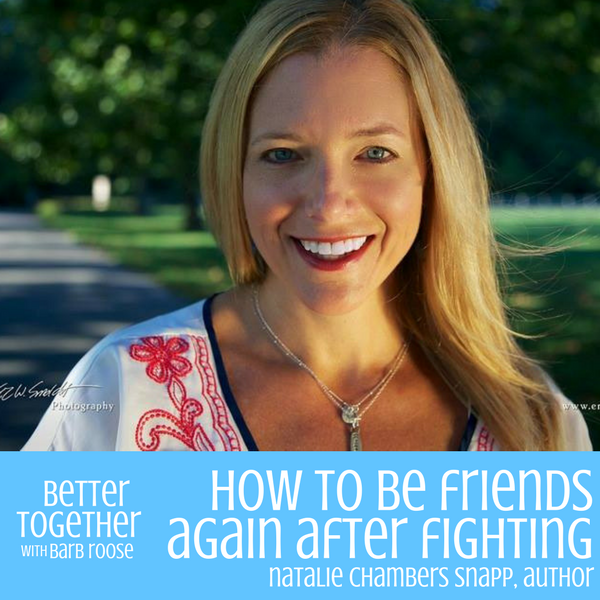 After last week's Better Together episode with my guest, Natalie Chambers Snapp, I heard from many women who've dealt with friendship break-ups, heartache, betrayal and pain. It's so hard sometimes! Pray - Instead of taking our pain to friends, take your pain to God and ask for clarity on what's going on. What's my role in this conflict? Can I be with my friend in the future without replaying the hurt? Do I need to talk to her about the problem OR is this a "me" issue that I need to work out with God? Go Straight to that Person - Direct dialogue, but Natalie lists a few conditions in the podcast. This podcast is jam-packed with solid Biblical insight about not only friendships, but Natalie challenges our hearts to realize where God needs to work within us. 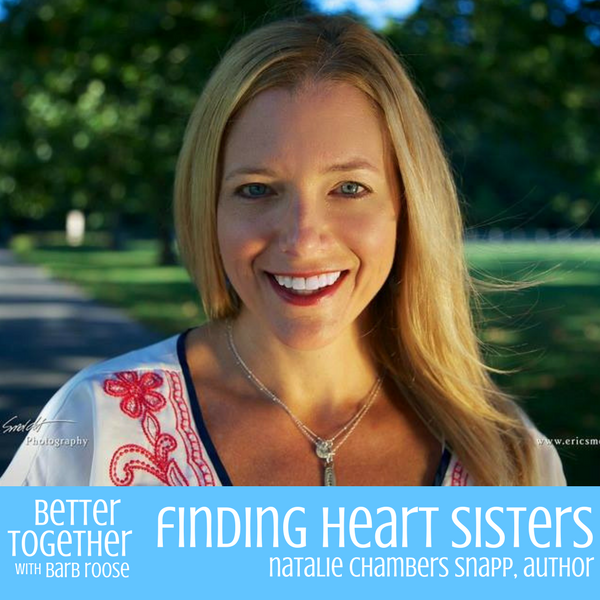 REMEMBER: I'm giving away a copy of Natalie's NEW Becoming Heart Sisters Bible study! 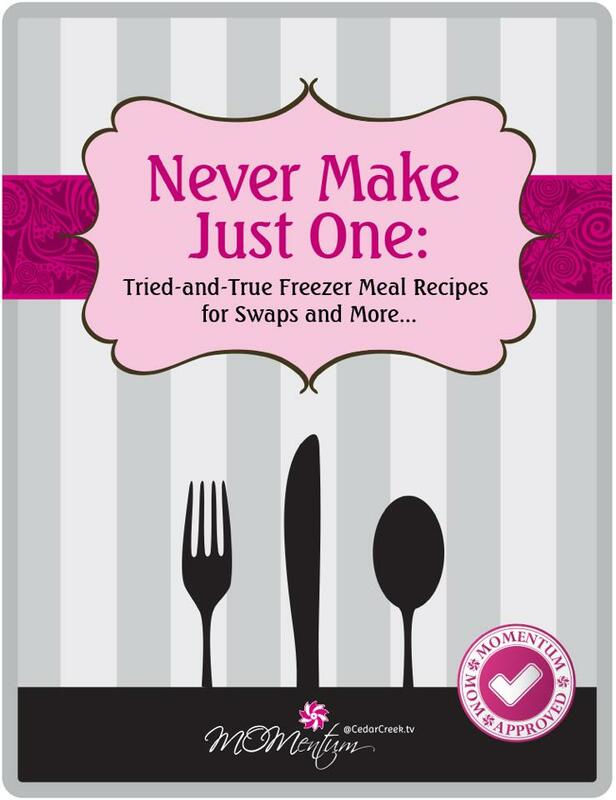 It's available at Christian retailers nationwide, but you can enter to win a copy by clicking here and leaving a comment on the podcast blog page. Winner will be drawn on June 5. CLICK HERE to leave a review about this episode on iTunes. What is it with women and friendships? As much as we know that we need good girlfriends, we can't seem to stop ourselves from friendship drama! We're surrounded by a culture that has dipped the term "BFF" in 24 carat gold, so if you don't have a BFF, then you're hopelessly alone forever. On the other hand, we're flooded with "Real" television shows that make backbiting, pettiness and betrayal the norm. Recently, one "Housewife" was kicked off her reality television show because she spread rumors about another housewife plans to drug another woman. What's going on here? Do we even know what good friendships look like anymore? 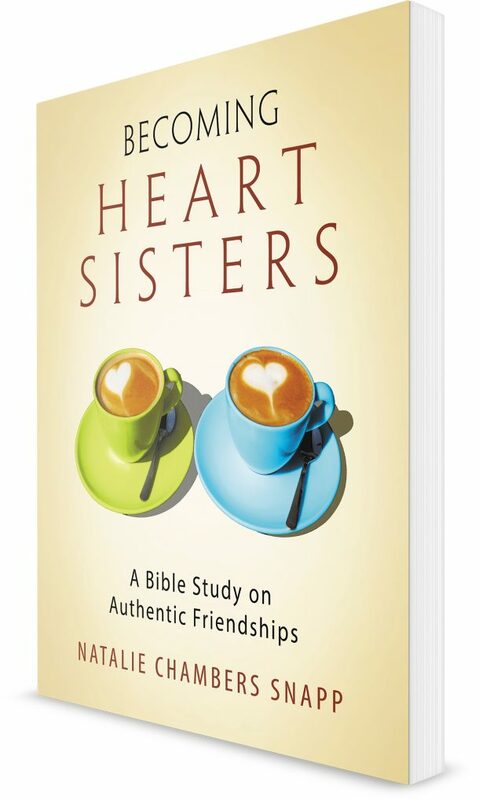 Today, I'm talking with my friend, Natalie Snapp, author of the Bible study, Heart Sisters: A Bible Study on Authentic Friendships. 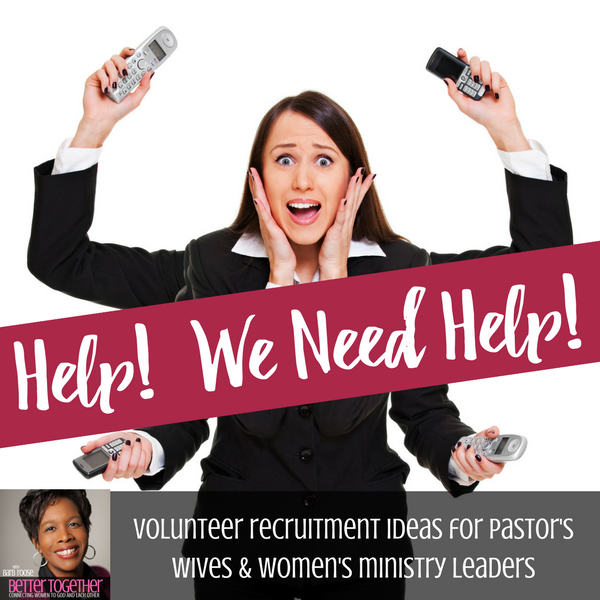 She's a strong, courageous sister in Christ whose life experiences have given her a passion for helping women develop healthy authentic relationships with each other. Her writings specifically address women who've been hurt by friendships and are looking for healing. In this episode, Natalie tells us about the bullying that she endured in high school from other girls. She'll also tell us about what happened when she realized that her non-Christian friends seemed to handle friendship conflict better than her Christian friends. You'll learn about the two ingredients that all healthy, authentic relationships must have as well as learn how your mother's approach to friendship may have impacted your life. GIVEAWAY: I'm giving away a free copy of Natalie's Bible Study, Becoming Heart Sisters on June 5. Enter by posting a comment on the blog page for this podcast. Since we experience all four seasons in my area of the country, heavy spring rains always seem to wash away the last vestiges of winter and pour in the freshness of the spring season. Is your life ready to embrace spring? So, now it's spring. Do you feel fresh and hopeful? I'm trying to be! After a long winter, I need to fill my tanks a little after a long winter. So, these days, I'm focused on finding things that inspire me toward godly momentum and creativity. One of my main places of inspiration is walking outside. There's something about the fresh air and walking underneath God's big blue sky that just makes me feel close to God. And I LOVE flowers! Lucky for me, I live in a historical neighborhood filled with lots of amazing gardens. Another source of inspiration is when I travel to speaking events. As I write out this paragraph, many of your faces that I've met over the past few months float across my memory - and make me smile. I'm inspired when I think about all of the women that I've met and all of the stories that I've heard. For me, being inspired is all about putting myself in situations where my heart, mind and soul can be connected to God and connected to others who also long to be connected to God. I don't know about you, but the farther I get away from God, the more draining life seems to be. So, my goal each day is to make purposeful plans to find connections with God and others such as. 5. Journaling or reading old journal entries to see how God has stretched and grown my faith. 6. Traveling to new places and meeting new people lets me see faith from lots of different and powerful perspectives. Now, this is my list. But, it's not the be-all-end-all list. However, if you're looking for some ideas, perhaps my list might motivate you to create your own list. Don't forget, inspiration is essential for living! Inspiration keeps us moving forward. Inspiration is essential for resilience and keeping us hopeful. Inspiration keeps us looking toward the future when we're tempted to focus on the past or the negative circumstances in the present. So, what should go on your inspiration list? Share what inspires you in the comments on the blog page for this podcast episode. 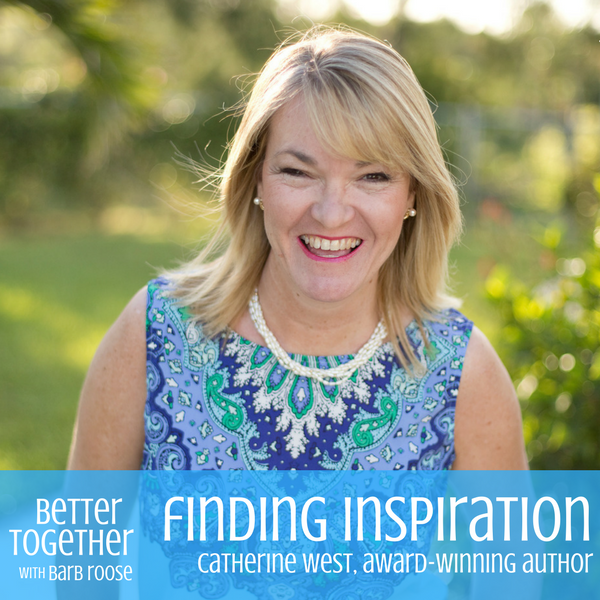 My friend Cathy West joins me for this week's Better Together episode and shares how she finds inspiration for her stories. 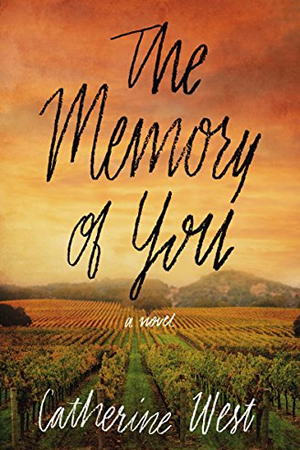 Her newest book, The Memory of You, just released a few weeks ago and Cathy gives us some inside scoop about a powerful story that many of us can relate to. Cathy also explains why fiction stories have the power to help us work through some of our struggles. Click here to find out more about this story of a woman who deals with PTSD after the death of her sister. She discovers the freeing power of forgiveness, confession and faith. INSPY Award-winning author Catherine West writes stories of hope and healing from her island home in Bermuda. When she’s not at the computer working on her next story, you can find her taking her Border Collie for long walks or reading books by her favorite authors. She and her husband have two grown children. Do you ever battle insecurity? We all do! Even if usually you feel like Confident Connie on a good hair day, there are times when our inner critic pipes up and whispers, "You'll never pull that off." Some of us grew up in homes hearing "You're useless" or "You can't do anything right." Those words planted seeds of insecurity in our hearts. For others, a big mistake or a crushing failure planted a powerful seed of insecurity in our hearts. Insecurity whispers "You'll never good enough, no matter how hard you try." When we're insecure, we're always second-guessing ourselves, even when we know we're doing the right things. When we're insecure, we're afraid to look toward the future in hope because we fear pain and failure. "I know the plans I have for you,” says the Lord. “They are plans for good and not for disaster, to give you a future and a hope." God is not planning disaster for us. He's not planning disaster for you, my friend. Yes, we'll encounter hardships and tests to grow our faith, but through faith, we can walk with confidence in God's plan for our lives. If you're always second-guessing yourself, but you want to dream big dreams, I want you to listen to my interview with award-winning author, Catherine West. I met Cathy a few years ago at my literary agency retreat and she's real and lovely and someone that you can totally relate to! 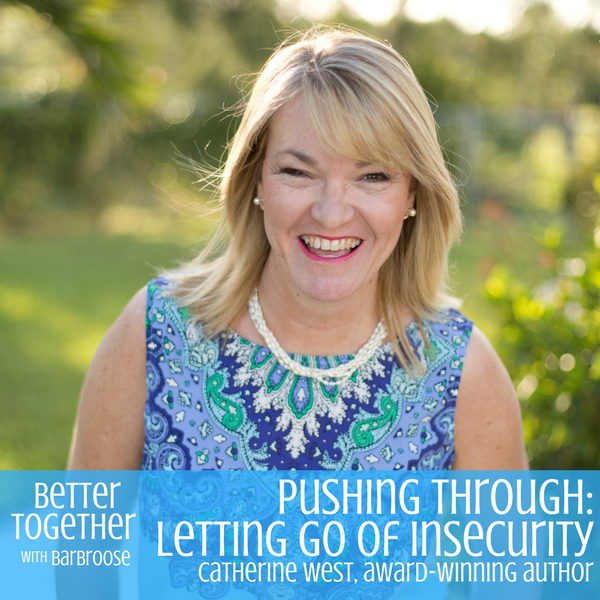 On this episode of Better Together, Cathy and I will talk about her battle to overcome worry and insecurity. All of us will benefit from Cathy's five life lessons about how to get off the ledge of insecurity as well as having the guts to go for our dreams. If you don't have time to listen, click here to access those five life lessons on Cathy's website. By the way, Cathy's new book The Memory of You just released a few weeks ago - it's amazing! Click here to find out more about this story of a woman who deals with PTSD after the death of her sister. She discovers the freeing power of forgiveness, confession and faith. INSPY Award-winning author Catherine West writes stories of hope and healing from her island home in Bermuda. When she’s not at the computer working on her next story, you can find her taking her Border Collie for long walks or reading books by her favorite authors. She and her husband have two grown children. Catherine’s novel, Bridge of Faith, won the 2015 Grace Award. Catherine’s latest novels are The Things We Knew (July 2016) and The Memory of You (March 2017), Harper Collins Christian Publishing. 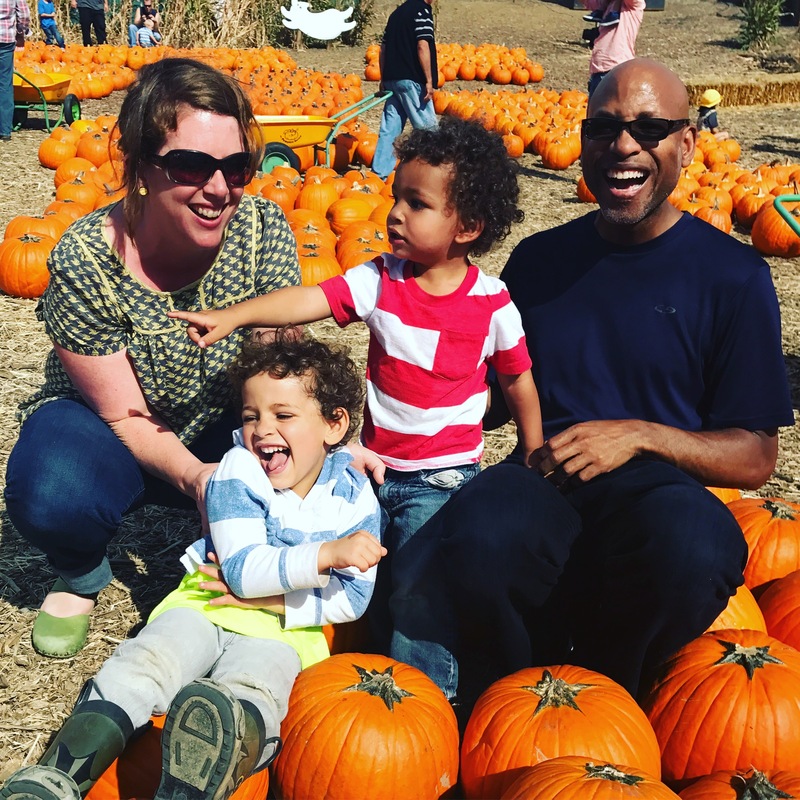 Last week, I shared my story about a year-long battle with depression as well as a powerful podcast interview with my friend, Melissa Maimone. Boy, did I hear from you! I've gotten more notes and messages about this podcast than any other. One woman shared that God used our discussion to confirm that she needed to talk to her doctor about depression. Praise God! Depression is a medical condition that can make us feel alone, fearful and hopeless. At its worst, depression can make us feel that we're too broken or damaged to be loved. Even by God. God loves you just the way that you are. There is nothing that you can do to change His opinion about you. Christians are uncomfortable with depression. By refusing the recognize depression as a medical issue, Christians often downplay, even dismisses its devastating impact on families, our careers and our health. Too often, Christians feel ashamed about being depressed or they're shamed by others who tell them to pray harder or think more positively. 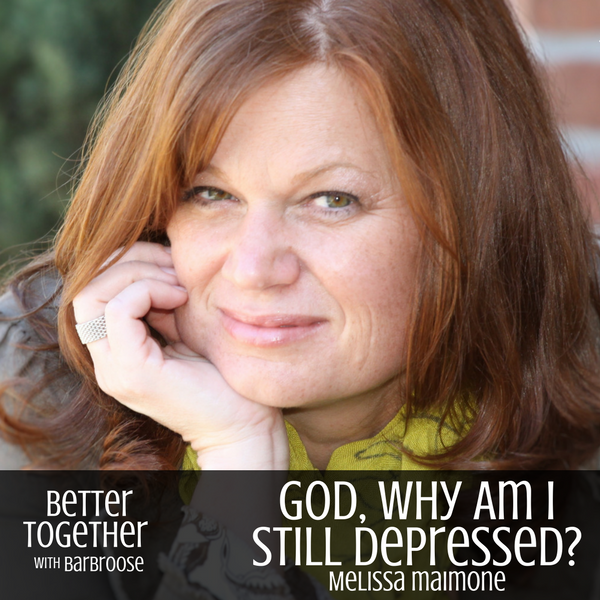 In this week's Better Together episode, Melissa and I tackled depression, God and faith. For years, Melissa felt like she'd disappointed God, which totally wasn't true! She speaks to us in a powerful way about a compassionate God who loves us as we are and gives us the strength that we need. 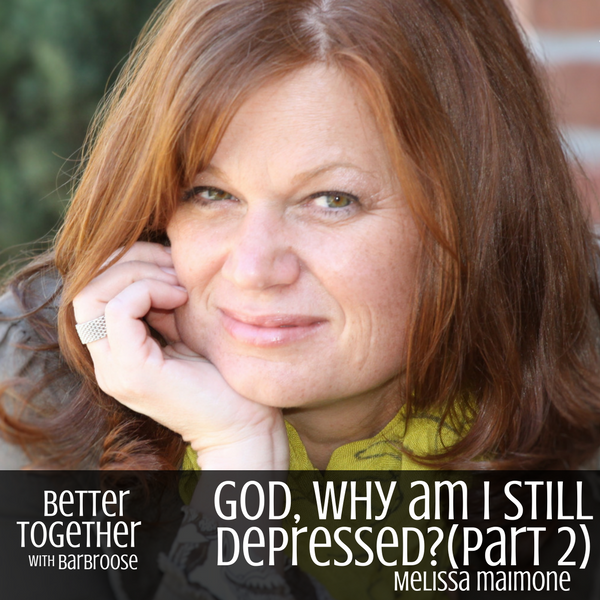 Melissa discovered that depression doesn't mean that she's sentenced to a life of unhappiness. Friends, Melissa is one of the most radiant people that I know! If you've been dealing with depression or you secretly wonder if you are depressed, I hope that you'll listen to this week's podcast. Also, check out the resource links provided below. You can take a quick screening quiz to find out if you should talk to your doctor about depression. I'm also sharing some other resources that will equip and encourage you. Online depression screening tool *If you take the quiz, please take your concerns and results to you healthcare professional no matter the outcome of the quiz. Affected by depression and anxiety from a young age, Melissa inspires women to discover the beautiful strength and grace available to them—even in the darkest of places. 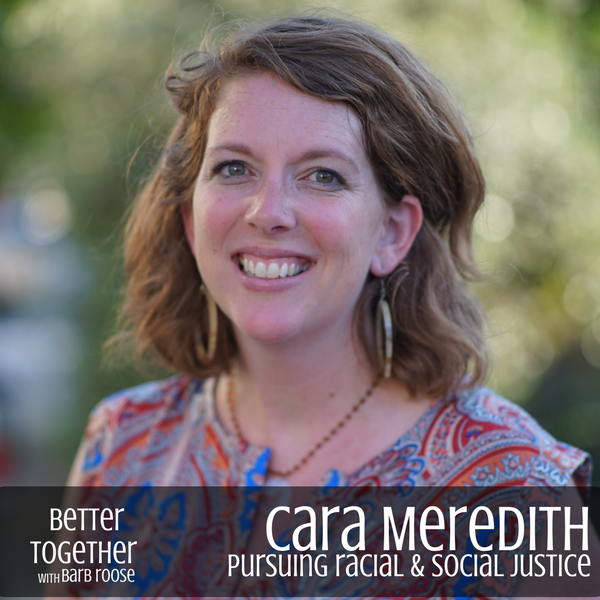 With her unique blend of theology, humor, insight, and storytelling, Melissa shares with powerful vulnerability that a hopeful, joyous life is possible no matter what your circumstance. She lives in Southern California with her husband Danny their two children, Elizabeth and Cole. "I had no idea that my life would look this." Melissa Maimone is a Christian speaker and author. When you meet her, the first thing you'll notice is her bright smile and warmth. Yet, Melissa has struggled with major depression for most of her life. Depression is extremely common in women, yet we're still struggling to find the courage to talk about it. 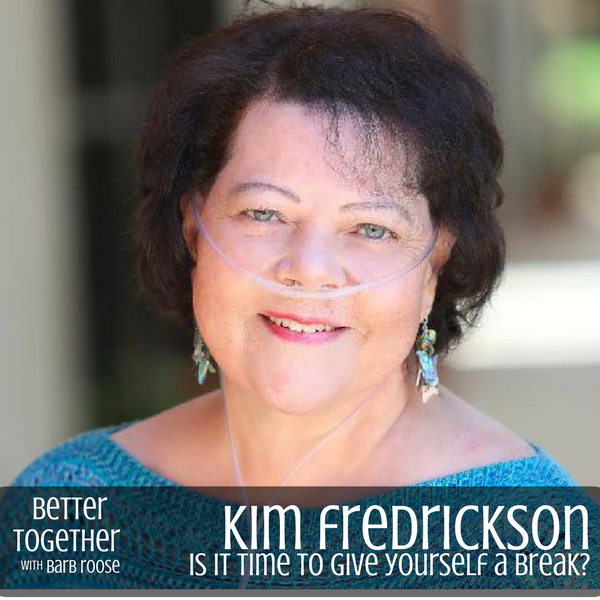 In this week's Better Together podcast, Melissa and I dive into her personal story, including some difficult aspects to her story. At one point, a serious event forced Melissa to find new tools to help her cope with her depression. She shares some of those tools with us as she talks about the common questions Christians with depression ask: Is my lack of faith keeping me from being healed? Melissa addresses that question with grace and a profound observation that may completely shift your perspective completely. QUESTION: Have you struggled with depression or anxiety? What advice would you give a woman who feels ashamed about being depressed or a woman who refuses to get treatment for her depression? Leave your comments below. RATE THIS EPISODE ON ITUNES! 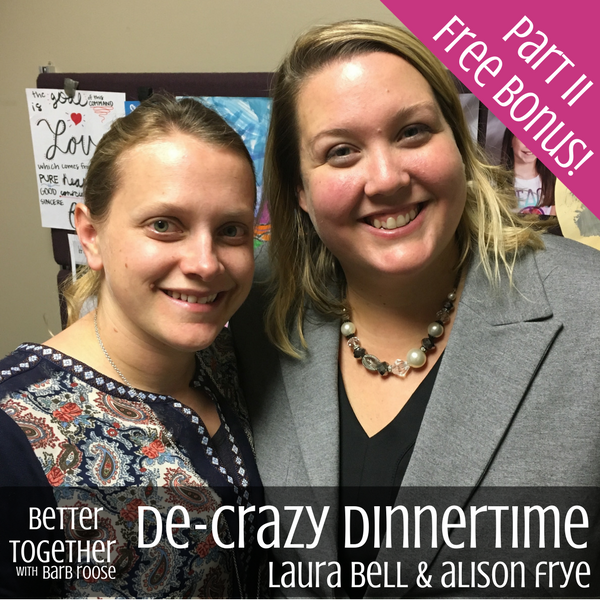 Help other women discover this podcast on iTunes by rating this episode. It's really easy! Just click here to leave a review. Affected by depression and anxiety from a young age, Melissa inspires women to discover the beautiful strength and grace available to them—even in the darkest of places. 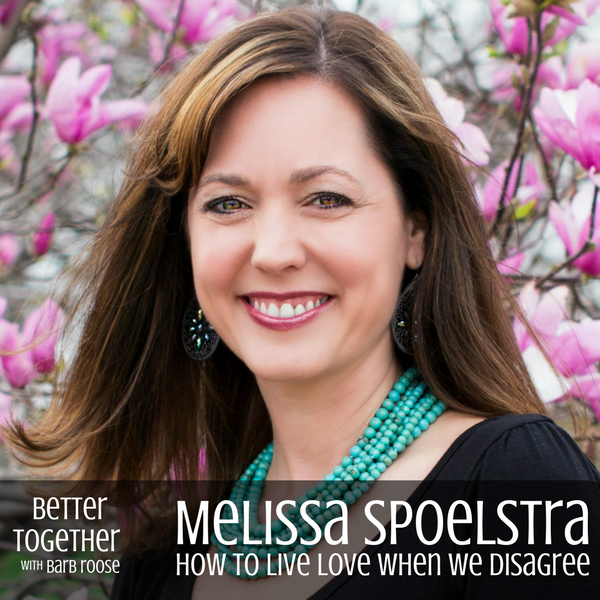 With her unique blend of theology, humor, insight, and story-telling, Melissa shares with powerful vulnerability that a hopeful, joyous life is possible no matter what your circumstance. Melissa has been a featured speaker at various Christian camps, women's events and retreats throughout the United States. She is part of the speaking team for Seasons Weekend, created by author and dramatist Nicole Johnson. Melissa has appeared on TBN and KKLA Christian Radio, and has been published in Welcome Home magazine. My first exposure to human trafficking came in 2010 when I walked by a wooden shipping crate and saw a young girl huddled inside. She was tucked into a corner of the small crate wearing a t-shirt and pair of shorts. Her head tucked into her knees with long, dark hair covering her face. How did a human being get shoved into a wooden box? How is that possible? Luckily, the young woman in the box was an exhibit at our church women's conference. Every half hour or so she was free to stand and stretch her legs. At the end of the night, she packed up her display and drove home. But millions of humans around the world aren't free to go home. Over the past few years, a lot of attention has been directed toward human trafficking. One of the things that I fear is that we think that talking about the horrors of human trafficking is the same as actually doing something about it. Even as I type these words, I'm feeling the pressure of the question, " Barb, what are you going to do about it?" My freedom means that I'm often too busy to consider someone's desperate slavery. 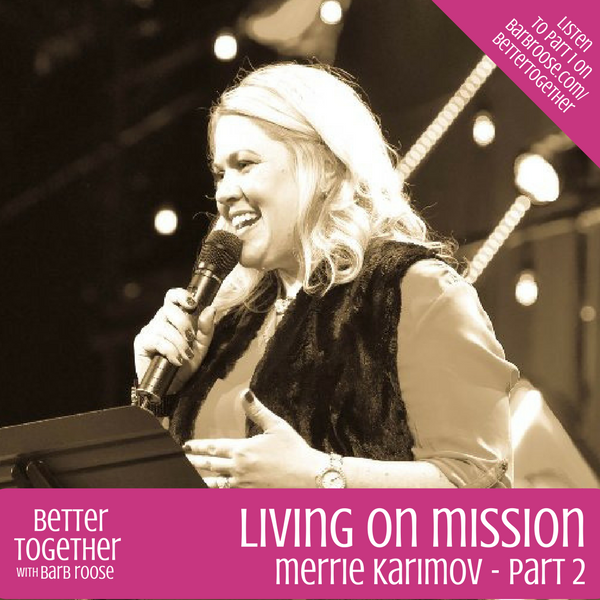 In part 2 of my Better Together episode with Merrie Karimov, women's pastor at Discovery Church in Orlando, which ranks #3 in Florida for human trafficking. However, we know that forced slavery occurs in every community, including yours. 1. Make sure that you are educating yourself about what's happening in your local community. 2. Find out which human trafficking organizations are already doing the work and partner with them - you don't need to start something. 3. Remember that we are not the savior of the survivor. God doesn't need us to fix them, just love them in a responsible and sacrificial way. I am passionate about life, love God and love people. I am the wife of a “Rusky” (Russian), mother of twins AND one adorable big brother. I am a daughter, sister, friend and all around adventurer at heart. I am candid and creative and live to cultivate, invest in, develop, & mobilize others. I believe that inside every person is a hidden treasure waiting to be discovered, developed & encouraged. Connect with Merrie via email at merrie@harbourhope.com. Do you find it hard to say "no" when someone asks you to do something that you don't want to do? Do you feel a driving need to keep the peace, even if it means that you have to stuff your real feelings and keep silent? For many women, being a people-pleaser is a survival skill that we picked up during our younger years. Maybe we wanted to earn the approval of our parents or boyfriend or we wanted certain kids to like us. No matter our motivation, the driving need to be liked or accepted is something that we've all had to deal with at one time or another. 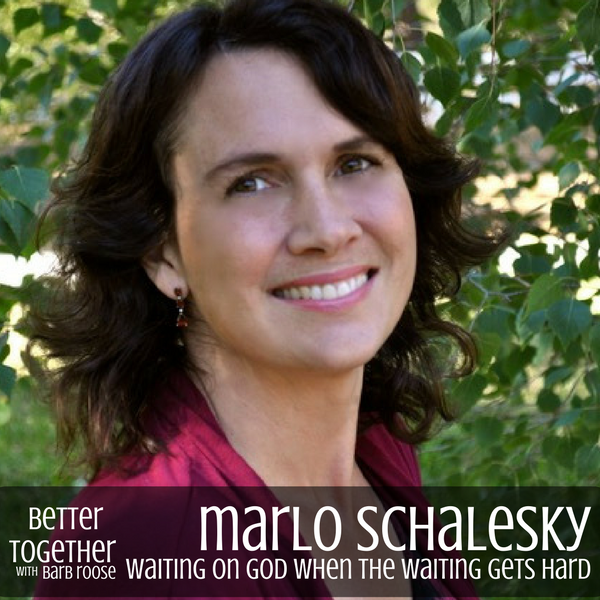 Today's guest, Merrie Karimov, shares her story of growing up as a people-pleaser. 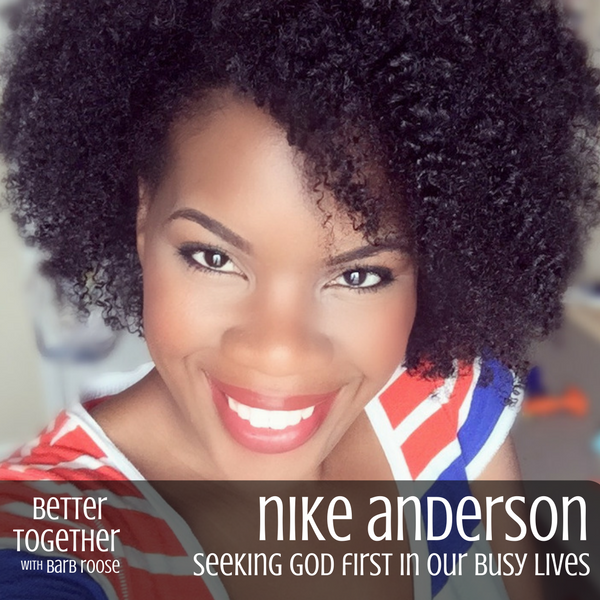 She'll tell us about how a powerful daily encounter with God helped her break free from living for other's approval in order to live for God's approval alone. Merrie will also tell us about how finding her identity in Christ gave her the courage and confidence to say "yes" to some incredible God-driven opportunities, like moving to Russia when she was 20 years old. 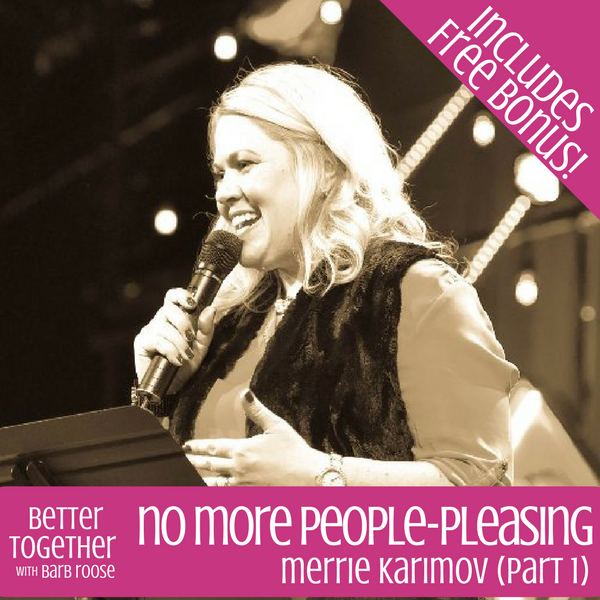 If you've struggled with people-pleasing or you want to be inspired by someone who said "yes" to God in a HUGE way, you'll enjoy part one of my conversation with Merrie Karimov. I've developed a free download for you! Like Merrie, we need to live God's approval and not humans. So, this free sheet includes several verses that we can say to ourselves each day to help us focus on our identity as God's children rather than trying to get people to like us. CLICK HERE to download. I am passionate about life, love God and love people. I am the wife of a “Rusky” (Russian), mother of twins AND one adorable big brother. I am a daughter, sister, friend and all around adventurer at heart. 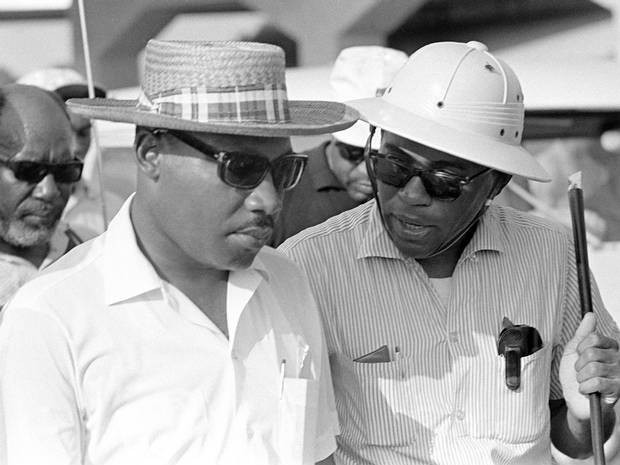 I am candid and creative and live to cultivate – invest in, develop, & mobilize others. I believe that inside every person is a hidden treasure waiting to be discovered, developed & encouraged. My guilty pleasures include sipping coffee with my hubs & blowing raspberries on my babies’ bellies.